Plans to increase capacity at Middleton on the Wolds based chicken specialist Soanes Poultry will result in 15 new jobs. The £1.6million poultry factory extension project will increase capacity by 20% from June 2019 and will create employment in the sales and marketing, processing and distribution departments. Soanes Poultry’s general manager, Nigel Upson said: “The project will enable us to improve infrastructure, increase whole bird processing and expand our portioning capacity in response to customer needs. The project is partly funded by the European Agriculture Fund for Rural Development with a £583,000 grant secured by Westley Consulting. Soanes Poultry is a family owned business which has been rearing and preparing chicken for 71 years. 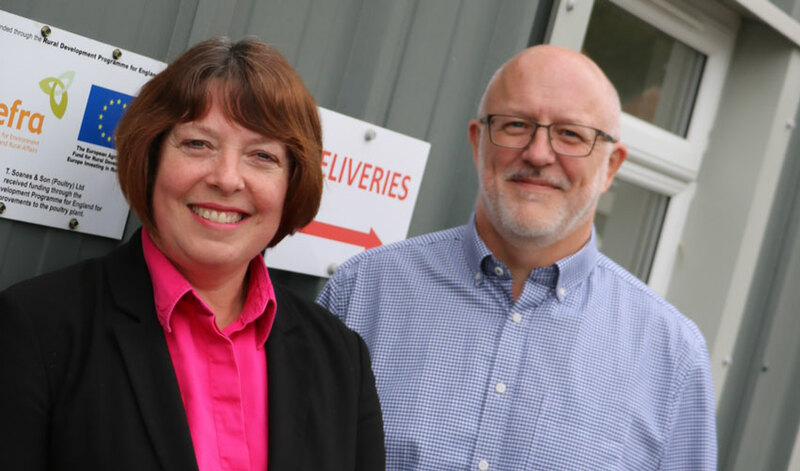 It currently employs 120 people and rears five million chickens a year on its Yorkshire farms and sells its chicken and game to butchers and independent retailers in Yorkshire and to wholesalers nationwide.